Yesterday I got 3 different texts from 3 different friends asking for a quiche recipe. Shavuot menus are in full gear! 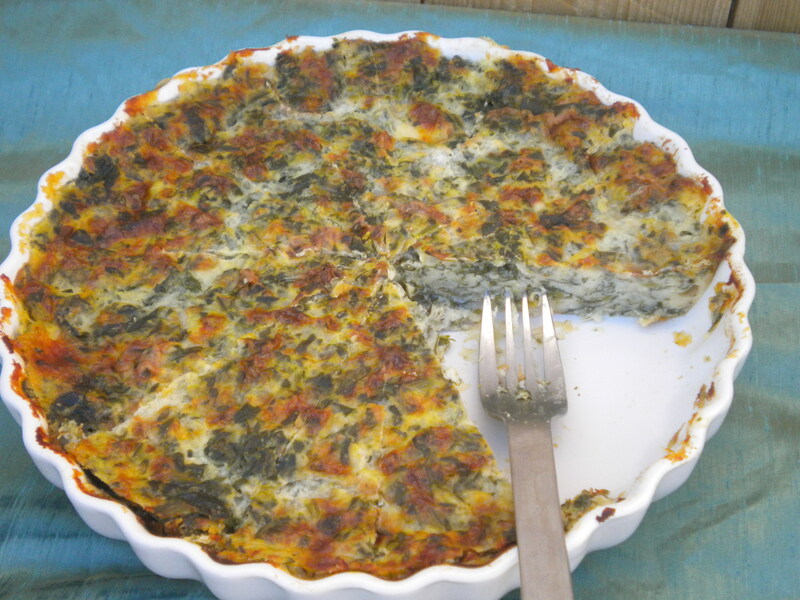 My mom has been making this crustless spinach and cheese quiche for as long as I can remember. It always seemed to pop up on the dining room table whenever celebratory meals were thrown together, and a slice of it always found its way to everyones plate - even the kids! My siblings and I dubbed it "Popeye Pie". Yes, we were that oldschool. :) It's low-fat, low-carb, and ridiculously easy to conjure! Whisk eggs, break up the sliced cheese, and combine all the ingredients together in one bowl. Pour into an lightly greased quiche plate (I use this basic one for so many things!) and bake on 350° for 1 hour. That's all. Enjoy!